Music fans at Red Rocks can withstand a lot. After all, they’ve been sucker-punched, rocks have fallen on them, they risk dying while hiking after shows, police have tear-gassed the venue (albeit decades ago), and people have been shot. But few would have imagined that flying porta-potties would be an issue. Still, at the Widespread Panic concert on June 22, a microburst hit the Upper South Parking Lot outside the amphitheater, sending six portable toilets flying fifty feet across the parking lot, according to Andrew Mowery, a 51-year-old self-proclaimed ambassador between fellow Widespread Panic fans and venue security. One of the units slammed into his Honda Element, denting it. Human waste spread across the parking lot. Mowery had been at the venue since around 6 a.m., long before staffers. He was handing out numerically ordered wristbands and helping organize a line of early-arriving fans so they could enter the concert safely. It’s a task he’s taken on at 33 shows in thirteen years after he watched Widespread Panic fans stampede the gates, injuring each other as line-cutters scrambled for prime seats. After the portable toilets took flight, he and others ran over to check to see whether anyone was still inside them; nobody answered. 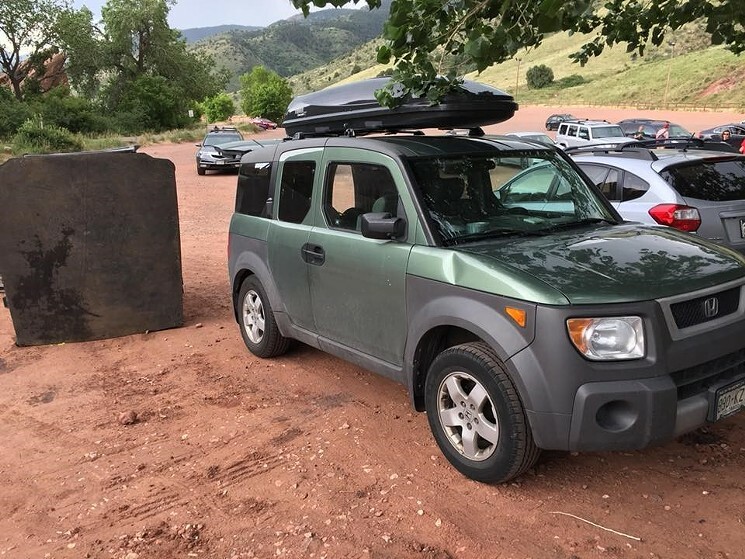 The group tried to lift the porta-potties, but they proved to be too heavy, so he found people working at Red Rocks and asked for help. It took staff ninety minutes to show up to the scene, he writes in a complaint he sent to Mayor Michael Hancock, and when they came and heard what happened, “they were rude and abrasive,” he says. Mowery pleaded with security staffers to help out, but instead of lending a hand, an Argus supervisor told Mowery to contact Liberty Waste Management, the company that provides the toilets, he says. Hours after the incident, workers finally came to move the portable toilets. Luckily, nobody was inside. The workers proceeded to clean the toilets with a power washer. Want to know more? Go to the URL to read the whole story!